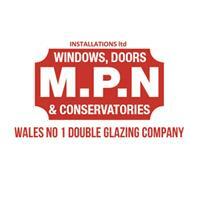 MPN UPVC Windows Doors Conservatories Installations Ltd - Windows/Doors/Conservatories based in Glyncorrwg, West Glamorgan. MPN Windows is an established family-run Welsh business with showrooms in Cardiff, Port Talbot and across South Wales. We are proud to be an award-winning member of the respected industry standards organisation Independent Network. It's a way that puts you, the homeowner, in control through a unique series of quality promises and rock solid guarantees. Independent Network Members offer friendly service, sound advice on the right choice of product for your home, examples of other customers delighted with their installation, total confidence in the quality of their work and vast experience in the home improvement sector. Most importantly - members provide total 'peace of mind' via a series of cast iron guarantees. Our sterling reputation is vitally important to us and we work extremely hard to uphold it, which explains why so many of our customers approach us based on recommendations from family and friends. We work with homeowners throughout South Wales from Carmarthen to Swansea from Porthcawl to Cardiff where we supply and install the highest quality windows, doors and conservatories - designed to your specifications - in an efficient and cost-effective way. Homeowners are able to trust in the regional knowledge and friendly service of their experienced local home improvement company, knowing that they are also supported by the strength and stability of a powerful, national organisation and its associate system supplier. The Independent Network was formed in 1996, back when the PVC-U window industry was beset with problems. Double glazing used to be associated with pushy salespeople and shoddy workmanship. It was difficult to tell who to trust, and companies were failing - leaving customers with lost deposits, and a loss of faith. Something had to be done, and as one of the world's biggest and most forward-thinking window system suppliers, VEKA plc was the only company in the industry that had the foresight to find a solution. A number of VEKA's best PVC-U window fabricators and installers came together to form Independent Network. The idea was, and still is, to ensure that customers are treated fairly, by an organisation that strictly polices itself, in order to offer consistently high standards.